GET A 48 HOUR TICKET, FOR THE PRICE OF A 24 HOUR! 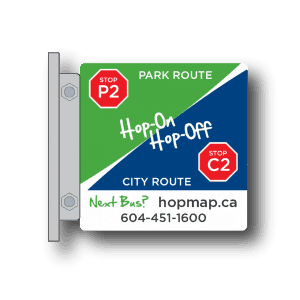 With any 24 hour Hop-On, Hop-Off Route purchase, your pass will automatically be valid for 48 hours. Variety is the spice of life, so for each of our Hop-on Hop-off tours we dish it up and you get to choose. We operate two types of vehicles, and while both buses travel the same routes, each offers a very different tour experience. Of course, we suggest you take the time to enjoy both. Channelling the spirit of San Francisco, our trolley's will have you ready for a jolly time. The driver will provide you with live commentary of your tour, lending a local's authentic take on the magic that makes Vancouver great. But as fun as our trolley tours are, our clear-top buses are equally special. Your view of the city will be like no other as you tour the streets with the wind in your hair, experiencing our vibrant downtown with all of your senses. You will be accompanied by a recorded commentary that is available in multiple languages. Find out when your next bus is with our live, interactive map. The route is updated in real-time with GPS data from each of our buses. It also works on mobile so you can plan your trip on the go. Stay for that extra cup of coffee and take your time — you'll always know where we are in the city! Travelling on or before April 30, 2019? Choose between our Dual Pass, City Route and Park Route. If you're traveling on or after May 1st, view our Summer Pass. Can't choose between city and nature? Get the best of both worlds with our DUAL Pass. This flexible option combines both the PARK Route and the CITY Route, giving you the freedom to mix-and-match your favourite stops. Our DUAL Pass is a fun and flexible way to see the best of Vancouver! This ticket gives you unlimited access to all of the highlights and stops available on both the CITY and PARK Routes —a total of 28 stops! Choose your own adventure through Vancouver's natural wonders with the PARK Route of our Hop-On, Hop-Off Sightseeing Tour. Whatever your style, this tour is sure to bring out your inner tree-hugger! Your journey begins with a winding escape through the temperate rainforests of Stanley Park and along the sparkling coastline of English Bay. Next, discover the vibrant history of the city with a trip to Vanier Park, home to the Museum of Vancouver, the Vancouver Maritime Museum, the City of Vancouver Archives, and the H.R. MacMillan Space Centre. Finally, browse the colourful indoor markets at Granville Island where you can grab a bite to eat at one of the many eateries (fresh, locally-caught fish and chips, anyone?) or simply take in the spectacular ocean views of False Creek with a cup of coffee. Whatever your style, this tour is sure to bring out your inner tree-hugger! Join the tour at one of the stops in the heart of Vancouver. Our PARK Route includes city stops like Gastown, Canada Place, Robson Street, and Coal Harbour. Wherever you're staying, you'll find us close by and we'll whisk you away to a natural retreat through the city's best parks and beaches. Staff pick! Be sure to check out the the Granville Island Public Market and the art galleries within Emily Carr University while you're here! Our PARK Route ends where it began: the historic neighbourhood of Gastown. Along the way, you'll see iconic landmarks like the Vancouver Public Library, BC Place and Rogers Arena, and the Millennium Gate in Chinatown before returning to the cobbled streets of Maple Tree Square. You can't miss this iconic building! Inspired by the Colosseum in Rome, the Vancouver Public Library was built in the early nineties and now holds 1.3 million books! Root for the home team with a trip to the BC Sports Hall of Fame or tour BC Place and Rogers Arena. 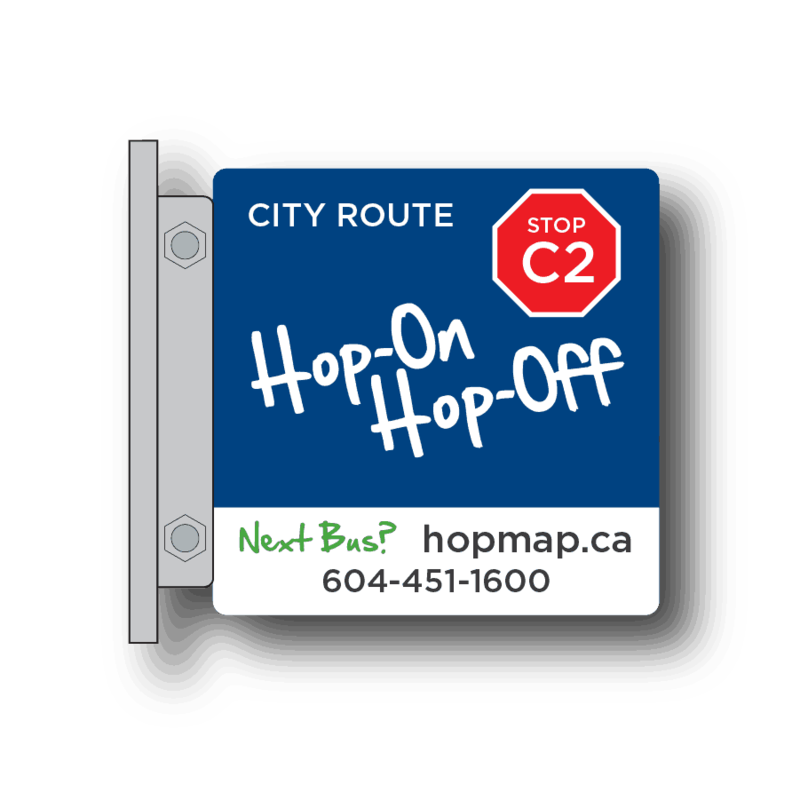 If urban exploration is more your style, the CITY Route of our Hop-On, Hop-Off Sightseeing Pass is the perfect way to experience all of the hustle and bustle of downtown Vancouver. If urban exploration is more your style, the CITY Route of our Hop-On, Hop-Off Sightseeing Pass is the perfect way to experience all of the hustle and bustle of downtown Vancouver. Centred in the city's core, your stops will include cultural highlights such as Yaletown, Davie Street, and the city's historic Chinatown. Entertain your inquisitive side at Science World, or your inner athlete at the Olympic Village and the Sports District. All of the stops on our CITY Route are handpicked to showcase the excitement of life in downtown Vancouver, rich in diverse culture and West Coast charm. Travelling on or after May 1, 2019? Explore Vancouver with our Classic Pass. If you're traveling on or before April 30, view our Spring Passes. This pass combines both the PARK Route and the CITY Route, giving you the freedom to mix-and-match your favourite stops. Included with the above Hop-On, Hop-Off Classic Pass, is a 30-minute ride on ultra-quiet, sustainable Electric Boats from Coal Harbour. Our new 10 passenger 100% Electric Boats are luxuriously appointed and create zero air and water pollution. Glide over the water and enjoy this relaxing experience aboard one of our ultra-quiet Electric boats learning what makes Vancouver so spectacular! Hop-Off at stop off at #P5 to get to the dock! See Vancouver as the sun goes down! Vancouver after an active day changes into a peaceful landscape. After daytime exploring of downtown Vancouver with your Hop-On, Hop-Off Classic Pass, this evening, see Vancouver from a different perspective! You will visit stunning parts of Vancouver rarely seen by visitors in the evening so don’t forget your camera! Included in your 90-minute guided tour are photo stops in Stanley Park, Prospect Point, Queen Elizabeth Park and Gastown. Want to experience it all? Our Hop-On, Hop-Off Classic Pass includes the 24-Hour Classic Pass, a ride on an Electric Boat & the Evening Tour. Our Dual Route is a fun and flexible way to see the best of Vancouver! This ticket gives you unlimited access to all of the highlights and stops available on both the CITY and PARK Routes —a total of 28 stops! Every bus is equipped with theatrical, GPS-triggered commentary in English, French, Spanish, German, Korean, Japanese and Mandarin. Feel free to use your personal headphones for our multilingual service. Chaque autobus, à toit vitré, est équipé de commentaires théatraux, déclenchés par GPS en anglais, français, espanol, allemand, coréen, japonais et mandarin. N'hésitez pas à utiliser vos écouteurs personnels pour notre service multilingue. Cada autobús descubierto está equipado con comentarios informativos, activados por GPS en inglés, francés, español, alemán, coreano, japonés y mandarín. Puedes hacer uso de tus propios audifonos para escuchar nuestro comentario en diferentes idiomas. Alle offenen Doppeldeckerbusse sind mit einem GPS gesteuerten Audiosystem ausgestattet und bieten Moderation in Englisch, Franzoesisch, Spanisch, Deutsch, Koreanisch, Japanisch und Mandarin. Fühlen Sie sich frei, Ihre persönlichen Kopfhörer für unseren mehrsprachigen Service zu verwenden. 모든 Clear-Top 버스에는 영어, 프랑스어, 스페인어, 독일어, 한국어, 일본어 및 만다린으로 GPS 트리거 해설 기능이 있습니다. 다국어 서비스를 위해 개인 헤드폰을 사용해보십시오. Where can I start the Hop-On, Hop-Off tour? All Tours and Hop On, Hop-off services require a reservation. Does the Hop-On, Hop-Off tour include entrance to any of the attractions? No, attractions must be purchased separately. See attractions. Certain Hop-On, Hop-Off bundles do include specific attractions. Additional attractions will cost extra. Is there commentary in my language? Full commentary in English, French, Spanish, German, Japanese, Korean & Mandarin on the clear top convertible Hop-On, Hop-Off busses. Enjoy live commentary in English onboard the San Francisco-style Trolleys. Both bus types (clear top and trolley) will be travelling on all routes. What do you mean by San Francisco-style Trolleys? 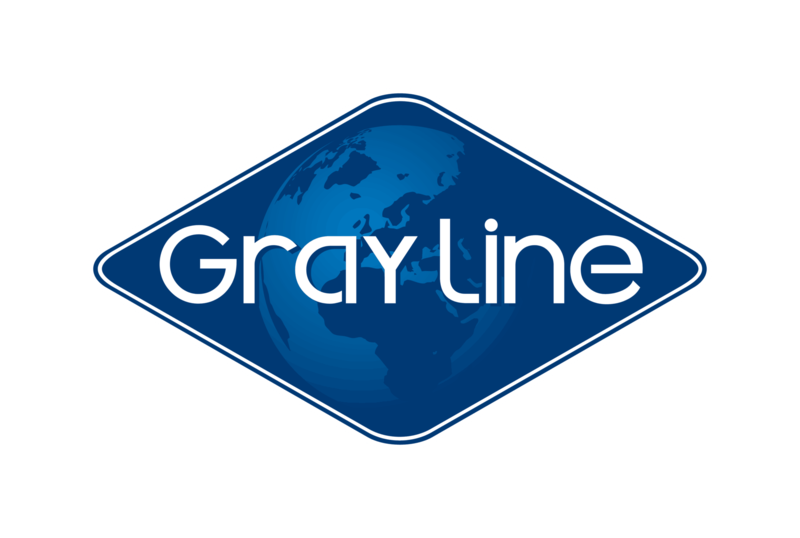 We have a fleet of trolley-style vehicles that travel the Hop-On, Hop-Off routes along with the convertible clear-top buses. Trolleys are also knows as Streetcars or tram. However in our case, our Trolleys have wheels and a gasoline engine instead of travelling on an electric rail system. What do you mean by convertible clear-top buses? We have installed clear roofs on our open-top buses to allow for stunning views when it’s raining. When the weather is sunny, the roofs come off! In the summer, there is no better way to see the city and park – looking up at the skyscrapers and giant cedars. We promise, you won’t forget it! What does it mean to have a 24-Hour Pass? To give you the most out of your Pass, we have based the service on the number of hours instead of the day. If you Hop-On at 3:00 pm, then your ticket is valid until 2:59 pm the next day! What is the bus frequency at each stop? In the summer season, our scheduled frequency is every 20 minutes. In the winter season, our scheduled frequency is every 60 minutes. Schedule is subject to change without notice. For the latest information, please contact us at 604-451-1600. Your pricing is for Adults and Children. What age ranges are they applicable for? Do you offer tours in my language? Our guided tours are conducted entirely in English; however, our Hop-On, Hop Off tours offer recorded commentary in English, French, Spanish, German, Korean, Japanese and Mandarin. For our Guided Tours, we do offer wheelchair buses that are available on request. Please note that our lifts are only able to accommodate manual wheelchairs. 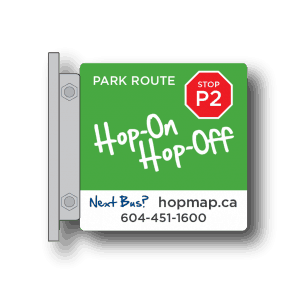 If you require a wheelchair accessible bus, please call 604-451-1600 to request availability.For our Hop-On, Hop-Off Tour, we can only accommodate fold-able wheelchairs. Guests on our Hop-On. Hop-Off Tour will have to climb the steps of the bus to a seat. No wheelchair specific buses are available on our Hop-On. Hop-Off Tour. Do you allow pets on the bus? With the exception of registered service dogs, no pets are allowed on board. What are the hours of operation for the Hop-On, Hop-Off? No, at least 1 adult must book and travel with any children under the age of 12.